This is a three digit analogue of the single digit Hewlett Packard 5082-7000 smart display shown above. As with the device above, this display is enclosed in a hermetic metal can package and contains an extra set of LED dies for use in the display of the '4' character. The most unusual aspect of this device is the use of a separate BCD driver IC for each digit; nearly every multi-digit smart LED display uses a single chip to drive all of the digits, to save on silicon. Each digit is also installed on a separate purple ceramic wafer. The choice of a metal enclosure is not purely a cosmetic one; the heat generated by this display when in operation is not insignificant. The 1971 Hewlett Packard price guide lists a single quantity value for this display of $165, making it one of the most expensive LED displays of its time. 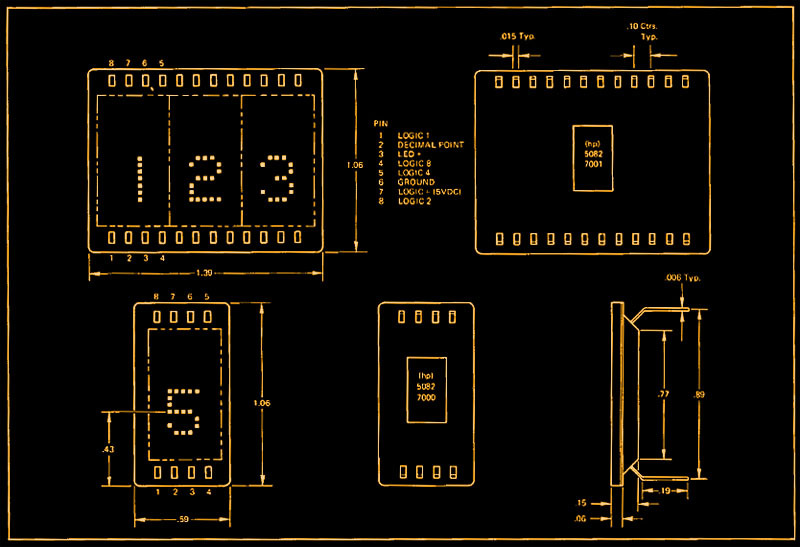 A 5082-7001 three digit LED with integrated BCD decoders. 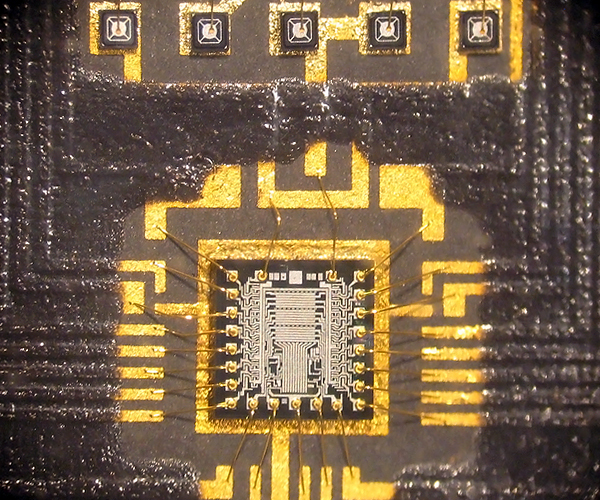 BCD decoder IC at 20x magnification. 5082-7001 pinouts and basing connections. 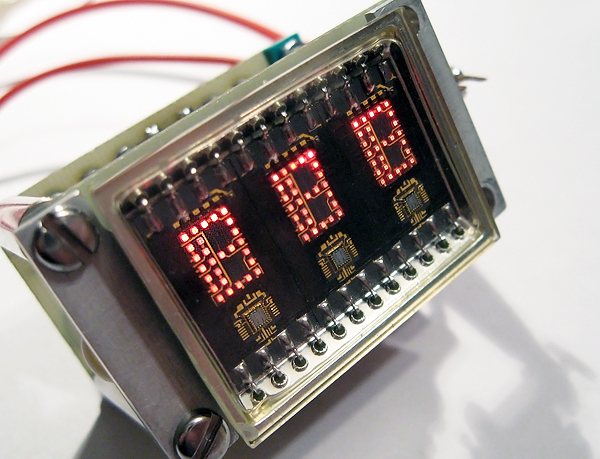 Note that this display uses negative logic for its BCD input pins. 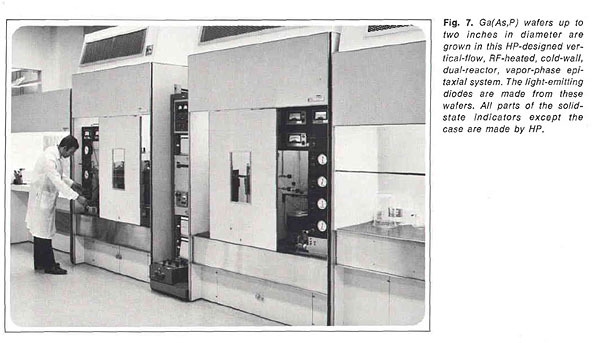 This black-and-white photo shows the semiconductor fabrication machinery used to manufacture the LED dies in this display.